Med League recently provided a Licensed Nursing Home Administrator expert witness (LNHA) on a fall case where the patient was a two-person assist according to care plan but was only cared by one aide. The patient sustained the hip fracture and ultimately died after falling multiple times. Long-term care litigation is a fast growing area of healthcare litigation. As Baby Boomers population is aging, the number of elderly requiring care in the long-term care facility and nursing homes is expected to grow at rapid rate. Allegations of elder abuse, fall, pressure sore and other nursing home litigation cases can include both medical and administrative decisions. A licensed nursing home administrator expert witness (LNHA) can review the resident’s records that describe the daily care, the quality of life, and the caregiver’s response to the personalized care plan. 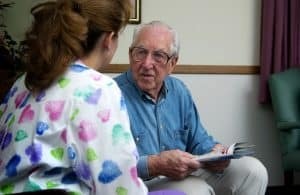 A licensed nursing home administrator can opine on whether the care provided to the resident had flaws and if the case involves quality of care and/or quality of life issue. Licensed nursing home administrator expert is knowledgeable regarding state and federal statutes, rules and regulations as well as the implementation of Medicare and Medicaid mandates. Med League is a legal nurse consulting firm serving attorneys nationwide and provides highly-qualified nursing home administrator expert witness as well as other Medical Experts Witness who can review your case. Contact Med League on your next Nursing Home case where you require a nursing home administrator expert witness to review, evaluate and analyze the facilities operational culture. Is it normal for the elderly to fall?